I really don’t like gyms. Nothing against them, but they always seem like a place that belongs to someone else. I do really care about running. Give me a pair of trainers (or let me use my own, ideally) and I’ll head out and gaily gambol around the field of roads for an hour or two. And the best thing about it is logging every step. I don’t mean I have to look at my watch each second - some days I’ll not even glance at it until I step back in the door - but the important thing is being able to look back in the weeks, months or years to come and know what I did, how well I did it and whether I’ve improved. It doesn’t matter if I have or haven’t, but to me (and countless, countless others) going out ‘naked’ is pointless. Many like exercise to get faster, or fitter, or less weighty, and if that’s you then you might as well know how you did it. The gym needs to be fixed. I want to get the most out of my expensive monthly fee, but I don’t want to need a special login, key or heart rate monitor to get the most out of the machines. Machines ready for Apple Watch - from TechnoGym currently - are well marked. So that’s why the arrival of GymKit, the language the Apple Watch speaks to talk gym equipment (currently only from one of the biggest providers TechnoGym, but Apple revealed there will be more in the future), is intriguing. The wrist-based tech now talks to these machines in complete synchronisation (through NFC to connect, and Bluetooth to sync, sending your heart rate in real-time and your vital statistics for more accurate monitoring) and saves all your workout data onto something that millions of people already have on their wrist - that’s a massive difference to having to buy a special key that you plug into certain treadmills. I want my accurate data - my heart rate, calorie burn etc - to be used on the machines I pay zillions to use. This happened with the MyZone MZ3, where your heart rate is transmitted to a big screen during classes, but that still required a dedicated purchase, where the Apple Watch is something many own already for another reason. So how does the system work in practice? With the Apple Watch (from the original 2015 model to the current Watch 3) it just took a tap of the wristpiece on the treadmill I was trying, a haptic buzz to confirm we were ready, and selecting which exercise I wanted to do (as I was on the treadmill, so walking or running options were presented to me). If you’re on another machine with only one exercise possible, you’ll still get that same question asking you to confirm whether you actually are about to work out. Apple says this is to protect your health data, but it’s hard to see what really useful information a thief could get from this action. Confirming the exercise is no big effort but is another tap needed to get going. It’s hard to know what to say about the experience, as it was the same as a normal treadmill run… but one that felt far more personal. My vital stats were used in the workout, my efforts instantly recorded in Apple Health. Calorie burn is accurate (and displays both active and total calories on the display) because the Apple Watch supplies correct body info, rather than a random height and weight. That synchronization is the most impressive part of the system, where even if you forget to start the Watch at the beginning of a run or cycling session, you can tap it at any point and all the data from the machine will head back to your wrist, so nothing is lost. It even measures the gradient of the treadmill and converts that into into how much elevation you’ve actually run, which is a key training metric and makes you feel pretty awesome in the end. The fact data is completely synchronised makes the Apple Watch instantly seem far more useful. This is the kind of thing that you’d just never get on a normal machine - I’d know, given I had to prepare for a mountain race on a treadmill and there was no way to actually see from the machine how high I’d climbed in a session, and I was desperate to sync that to my training program to monitor progress. But it’s not what it can do that impresses most about GymKit and the Apple Watch, but rather the simplicity of the system. A couple of taps and your data is used in a useful way, rather than locked into an impenetrable system. Fitness tech is making great leaps forwards, but it’s still too silo’d right now. Don’t get me wrong though - this is very much only the first step for GymKit, and I couldn’t get the holistic tracking I so desperately want. Case in point: TechnoGym makes weightlifting equipment that can monitor your efforts, but yet the Watch can’t read this, only cardio machines. It’s impossible to believe Apple isn’t looking at adding strength training into its Workouts app, but - like all smartwatch makers - nobody has worked out how to monitor reps and overall strength performance into fitness monitoring to an accurate enough level. But without it, the fitness experience feels less than holistic, and misses out the chance for dedicated and complete training plans that would help you really achieve your goals. Also, most people won’t actually be able to use GymKit machines just yet, as it’s only just rolling out in Virgin Active gyms in the UK and a few, like Equinox, in the US, as well as some in Australia too. This will improve as new machines arrive or older ones are retrofitted, but it’ll take time. The final hurdle that I’m just desperate for Apple to overcome is automatic Strava syncing. You can pull in data from Strava to the Health app, but do a gym workout with the Apple Watch and GymKit and it’ll stay locked to Apple’s system. It’s one I hope gets sorted very soon - and I have a hunch it will - as it’s the biggest barrier to me wearing the Apple Watch as a regular exercise tracker, and to countless others who use the platform as a performance monitor (and, well, a chance to show off). But none of the above hurdles are insurmountable, and the fact Apple is working so hard to make its Watch more useful in more scenarios is great to see. 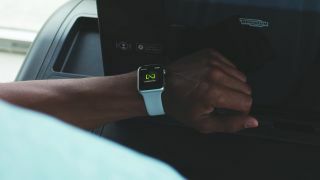 Many other smartwatches are being too singular in focus, but with GymKit Apple’s Watch just gained another key facet in its bid to move from luxury gadget to indispensable part of our daily tech routine.